A black-and-white photo of John and Doug Casella in the entryway of Casella Waste Systems headquarters in Rutland projects an appealing image. The brothers, with youthful smiles and unlined faces, stand in front of a trash truck they acquired shortly after launching their partnership in the mid-1970s. John sports a V-neck with the distinctive block-letter Casella logo that the company still uses today. Doug wears a fleece-lined jacket and a Cat Diesel Power trucker hat, as if he's about to climb into the cab and take the wheel. The artifact is a quaint reminder of the company's history but doesn't hint that the brothers were on their way to building a regional trash empire — a publicly traded company with 100 facilities in six states and 2018 revenues of $671 million. Casella-emblazoned trucks long ago became a ubiquitous presence in Vermont, picking up trash from households and businesses. Today, the company's reach extends from Maine to Pennsylvania. It runs nine landfills, 49 waste and recycling transfer stations, 18 recycling processing facilities and four landfill gas-to-energy systems. 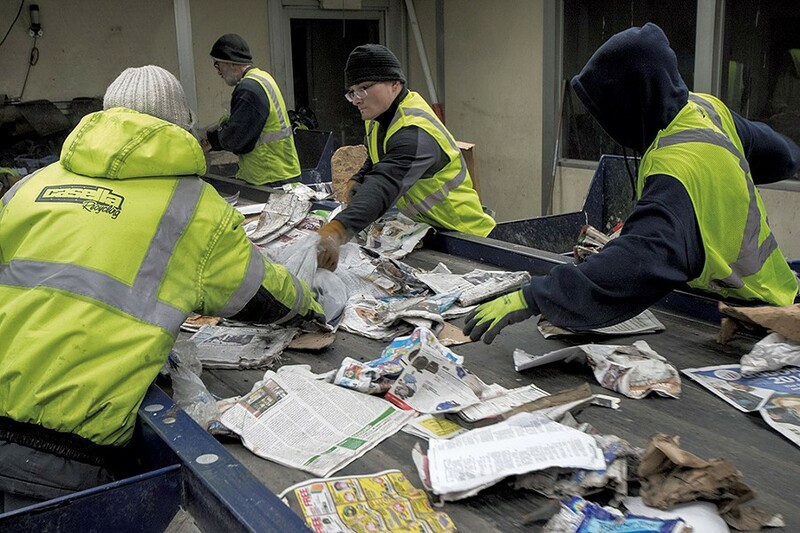 Casella has 90,000 dumpsters, 200,000 wheeled trash bins and a 1,400-truck fleet. Along the way, the company has been penalized for environmental problems and anticompetitive business practices. And it has gained significant control — some say too much — over Vermont's waste stream. It's looking to get bigger still. 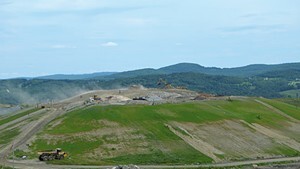 Casella owns a precious resource in Vermont: the state's only open landfill, located in the Northeast Kingdom town of Coventry. As the company has done with its landfills in other states, it's seeking regulators' permission to expand the disposal operation and keep it running for years. Citizens groups and environmentalists accuse the company of putting profits before clean air, land and water. The looming decision will determine the future of solid waste disposal in Vermont for years to come. The Casella brothers grew up in a modest apartment their dad built over his red brick motel on Route 4 between Rutland and nearby ski trails. Raymond Casella, father of Doug, John and their sister, Judith, was a mason who moved north to Vermont from Yonkers, N.Y., in the early 1950s. Raymond and his wife, Thurley, ran the inn, and he did construction work and other jobs on the side. When his sons were teenagers, they helped their father during summer breaks from Mount St. Joseph Academy, the Roman Catholic school they attended in Rutland. 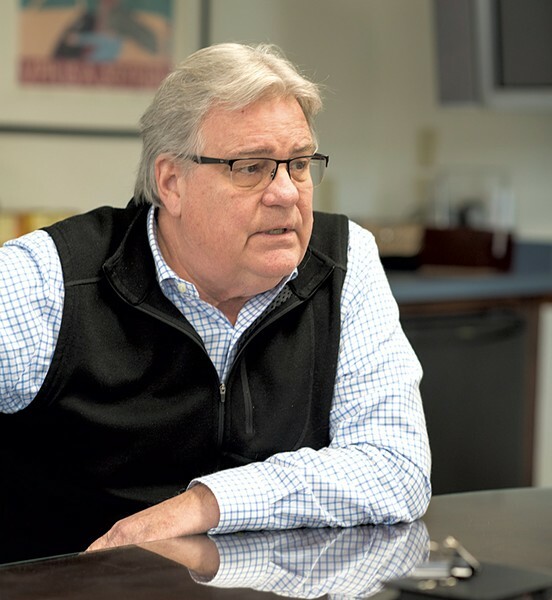 "We grew up mixing cement, carrying bricks," John recalled during an interview at Casella Waste Systems headquarters last week. His father "was a taskmaster, to say the least." John credited both of his parents with instilling a work ethic in their children. After high school, John made his way to what is now Castleton University and upon graduation got two job offers: a $5,000-a-year teaching position at Burr & Burton Academy in Manchester, and an $11,000 job selling real estate at Killington ski area. He took the latter. "Hell, even a Vermonter can do that math," John said. Meanwhile, in 1975, Doug had started a small trash-hauling business with a single truck. After a year, Doug recruited his older brother, saying, '"You should leave that job at Killington and come be my partner,"' John recalled. The two brothers took their trash to a Danby landfill that their father purchased the same year Doug Casella launched his business. Their company never owned their dad's now-closed landfill, but the arrangement boosted their young operation and foreshadowed what would become Casella's key strategy: to gain economies of scale through control of substantial parts of the waste stream, giving the company a leg up against competitors who owned only one part of it. While they quickly recognized the profits that could be made hauling trash, the brothers also jumped into the nascent recycling industry. They built Vermont's first recycling sorting facility in 1977 in Rutland using a $3,000 baler they bought from an old mill in Maine. They expanded their trash routes in Vermont, in some cases buying out haulers who wanted to retire. They put in many double shifts. "I spent a lot of years picking up trash during the day and doing the bills and permits by night," John recalled. At times, he said, he had to borrow from his wife Susan's income as a teacher to make payroll. She taught for 19 years, through the births of five of their six children. As the number of routes grew, John left the garbage truck driving to others. "I was demoted," he joked. He focused on growing assets — including landfills. As the company would later explain in reports to stockholders, Casella launched an acquisition strategy in 1993. The goal was to take advantage of anticipated reductions in landfill capacity in Vermont and surrounding states as tightening environmental regulations made the disposal operations more expensive to run, driving consolidation. The company purchased a 50-acre landfill in Bethlehem, N.H., in 1994 and the landfill in Coventry in 1995. More purchases and leases followed in the 1990s, including landfills in Maine and New York State. Cash infusions helped fund the deals — first from private investors and then from the sale of stock when the company went public in 1997. That was a pivotal moment and a way for a hungry company to "have fuel" for that growth, recalled Joseph Fusco, a Casella vice president and media spokesperson. On the heels of going public, between 1998 and 2000, company revenue grew from $143 million to $337 million. And the double shifts in the early years paid off. John, the 68-year-old CEO, earned a compensation package worth nearly $2.9 million in 2017, the company reported in a statement filed with the U.S. Securities and Exchange Commission. Doug, 62, serves as vice chair of Casella's board but is not involved in the day-to-day operation. Doug is president of Casella Construction, which peeled off from Casella Waste Systems in 1989 to stand on its own. He declined to be interviewed. The construction business does site work and excavation for big road projects as well as for landfills, including Casella Waste projects. In the national $85 billion waste industry, Casella's piece of the pie is a small one compared to trash kings such as Houston-based Waste Management, which posted revenue of $14.9 billion for 2018. Still, Casella is the fifth largest publicly traded waste company in the U.S. and in its regional footprint makes it "a big fish," according to Michael Hoffman, a Baltimore-based industry analyst at Stifel Financial, a firm that has provided investment banking services to Casella. Hoffman believes Casella has the potential to grow its revenue to $1 billion a year over the next five years. Its decision to integrate the business through ownership of both hauling and landfills is smart, especially in a region where capacity is tightening, he said. As a hauler, "you don't want to find yourself squeezed" by who controls the landfill, Hoffman said. Today, the brothers no longer own a controlling 51 percent stake in the waste enterprise. Could it be gobbled up, as many homegrown Vermont companies have been? "We're not looking to sell the business," John said. But he added, "It's a public company. It's a board decision, not necessarily our decision." Casella Waste Systems is one of Vermont's largest companies in both revenue and number of employees. It has 2,300 people on payroll, about 500 of whom work in Vermont. The business is one of only two publicly traded companies headquartered in the state, according to InvestSnips, and the undisputed leader in the state's waste industry. Casella's trucks prowl neighborhoods in the early morning hours, emptying Casella trash bins and Casella dumpsters and transporting refuse, along with waste from Casella-run transfer stations, to Casella's landfill in Coventry. "They are the 800-pound gorilla in the Vermont trash business," said Joe Sinagra, sustainability director at Myers Container Service, a competitor based in Colchester. "They are the biggest." The two companies have a solid relationship, he said. "The Vermont way is to be competitors but also to be friends. We learn from them, and I would like to think maybe we taught them something." Casella Waste System's tactics don't always generate compliments. In 2002, the Vermont Attorney General's Office alleged that the burgeoning company was unfairly stifling competition with contractual clauses that made it difficult for customers to switch haulers. The contracts required customers to notify Casella Waste Systems of any offers from competing haulers. The company agreed to drop that mandate in a settlement with the state. But it did not fully comply and nine years later agreed to pay the state $1 million for issuing more than 2,400 contracts that contained terms barred under the 2002 agreement. The company said the language was inserted by mistake and that the problems were isolated. But similar allegations surfaced in upstate New York in 2014 involving Casella's dumpster contracts. The company agreed to pay $100,000 to the state to settle what then-New York attorney general Eric T. Schneiderman described as "concerns that Casella's restrictive contracting practices, combined with its market dominance and pattern of acquisitions of smaller competitors, unlawfully restrained competition in the North Country and Southern Tier." Among the restrictive practices cited: Customers had to pay the hauler an amount equal to six times their monthly bill if they wanted to end a contract early. The company has also had to pay millions in environmental remediation at properties it owns or leases. It listed liabilities including $5.6 million for cleanup of a scrapyard and solid waste transfer station in Potsdam, N.Y., and $5.2 million at the Southbridge landfill in Massachusetts, according to the company's 2018 annual report. Casella attempted to expand the Southbridge landfill but failed after residents and regulators raised concerns about groundwater pollution. Many of the alleged problems predated the company's stake in the old landfill, but critics say it ignored the problems, and would have made them worse with expansion. Casella denies that, but it dropped the expansion plan and agreed last year to close the landfill. In 2012, the Toxics Action Center, a nonprofit environmental watchdog based in Boston, put Casella Waste Systems on its Dirty Dozen list of New England's worst polluters, alleging the company was pushing to expand a landfill in Maine against the interest of public health and the environment. Casella's 2018 annual report notes that over the last three years, the company has won permits to take in more trash at five landfills. The space crunch at Northeast landfills has made available space a hot commodity. Casella increased its landfill disposal fees by an average price per ton of 6.4 percent last year. And the company's strategic plan calls for "driving pricing in advance of inflation." The same report also notes that alternatives to landfilling waste are being developed that could reduce its future disposal fees. John defends the company's business practices and its environmental record. He's proud of every "facility that we have touched, bar none," he said. But he acknowledged, with a sigh, "We're in a very controversial business." He defended the company's competitive nature, too. "I don't think we're any more aggressive than anyone else," he said, adding that growth brings more scrutiny. He insists that it's easy to break into the business — all it takes, he said, is a truck. 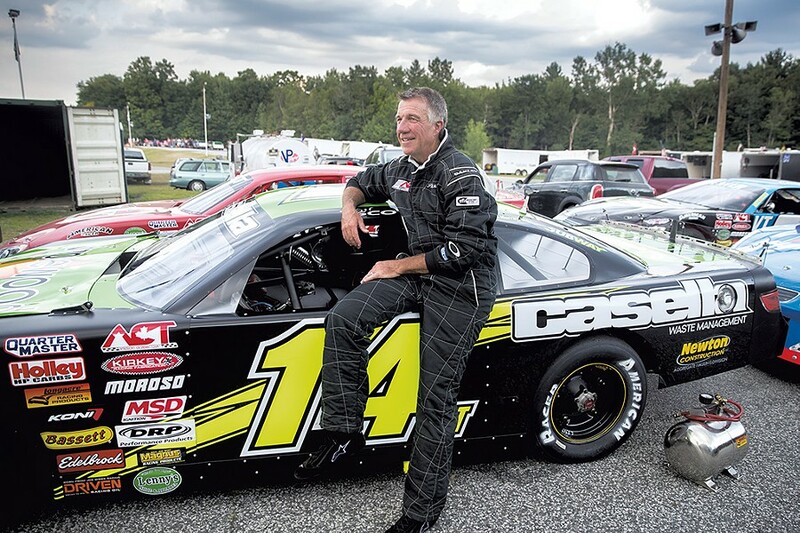 For a decade, the Casella moniker was plastered on Phil Scott's race car at Thunder Road Speedbowl in Barre. When Scott ascended from lieutenant governor to governor, he stopped accepting for-profit racing sponsors, he said. But Casella Waste Systems has shown support in other ways: It has donated to Scott's campaigns, including $2,000 last year and $4,000 in 2016. Other Casella-related companies and family members also made donations, for an additional $4,250 in 2018 and $3,682 in 2016. Critics say the relationship helps build Casella's clout in the Statehouse and with the Scott administration. "It appears that Casella is very close to the governor," said Paul Burns, executive director of the Vermont Public Interest Research Group. "I can't think of a situation where the Scott administration has taken a position that is not in line with what Casella wants, recently." Despite environmental opposition to the Coventry expansion, the governor supports it. "I'm not sure what choice we have," Scott told Seven Days last week. Vermont should keep working to recycle more waste, he said, but for now, "We need something. We need to have a landfill of some capacity to take care of our needs." A Casella subsidiary, New England Waste Services of Vermont, has cleared many of the important hurdles in the extensive state review for the expansion. The District 7 Environmental Commission in St. Johnsbury is deliberating the matter. A decision could come anytime. Casella has maintained a regular presence in the Statehouse, said Burns, who has observed the legislature for 19 years. "VPIRG has done a lot of work in the area of solid waste and recycling, for decades really," Burns said. "We've often been in the same room with somebody from Casella. I would say they are, for Vermont, a very big and pretty powerful corporate entity, and they wield significant influence in the Statehouse." Casella spent $220,000 on lobbying from 2015 through March 15 of this year, according to disclosures filed with the Vermont Secretary of State's Office. John himself isn't shy about weighing in about bills that affect the company, according to Tony Klein, a retired Democratic state representative who chaired the House Natural Resources and Energy Committee from 2007 to 2016. "John Casella used to come in, he could be as nasty as he was nice," Klein said. "If you were doing something that he was just adamantly opposed to, he'd get in your face and you'd know it." Still, Klein respects John and doesn't think the company had any unusual sway. The governor, too, insisted Casella Waste Systems has no special influence. Others say the CEO was a notoriously tough negotiator but would deliver on contractually agreed service. 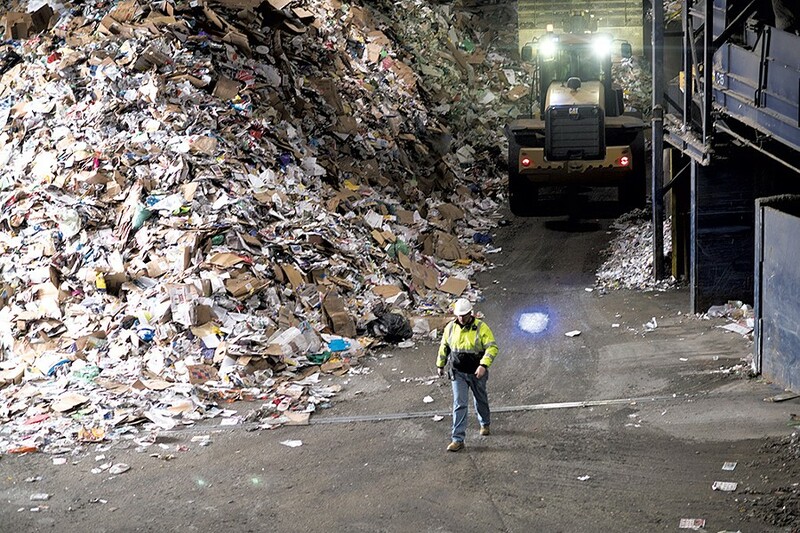 "Push come to shove, they will perform," said Tom Moreau, the retired general manager of the Chittenden Solid Waste District, who negotiated recycling and other contracts with Casella for many years. But Burns believes Casella has an outsize influence and pointed to an example. Vermont's universal recycling law bans food scraps from landfills starting in 2020. It also requires that waste haulers offer to pick up food scraps from homes wherever they offer curbside trash pickup starting that same year. Casella and other haulers have balked at the pick-up mandate, saying composting requires special trucks and that being forced to add such routes in a rural state would be expensive and impractical. In January, the Vermont Agency of Natural Resources proposed changing the law to exempt haulers from collecting food scraps at single-family homes and multi-residential buildings with fewer than four units. On Tuesday, Sen. John Rodgers (D-Essex/Orleans) introduced a bill that would repeal the provision that commercial haulers offer collection services for food residuals. Casella Waste Systems donated $300 to his 2018 senate campaign — which Rodgers said has no bearing on his decision to introduce the bill. It was driven more by the many small haulers in his district, Rodgers said. And while he does think Casella's frequent lobbying in the Statehouse creates a certain sway over lawmakers, he insists it doesn't affect him. "I'm not going to do something for them that hurts my constituents," Rodgers said. For example, he opposes the Coventry landfill expansion for a host of reasons, he said. "There are days when the whole area smells foul," he said. And except for residents of Coventry, which benefits from taxes and fees from Casella, not a single constituent has told Rodgers they support the expansion, he said. Environmentalists say a hauling rollback such as what Rodgers has proposed would stall the progress Vermont is making on composting food scraps under the universal recycling law. Vermont needs to fully implement the law before it authorizes expansion of the 51-acre Coventry landfill, said Jen Duggan, Vermont director of the Conservation Law Foundation, a Boston-based environmental group. "Until we do that work, we really don't know what the waste capacity needs for Vermonters will be," she said. "If there is a hole, it will be filled." CLF is among several environmental groups that oppose the Coventry expansion. Without it, the landfill will run out of space for trash in roughly three years. The landfill takes in about 70 percent of Vermont's trash, tonnage that would have to go to out-of-state dumps. That might cost more in fees and transportation and create disruption. This scenario prompts some opponents to worry that the state would have trouble saying no to the expansion. "I don't believe that's the case," said Vermont Natural Resources Secretary Julie Moore. "We have regulatory standards, and we review the applications we receive in comparison to those standards." On the influence question, she said, "We certainly solicit feedback from all stakeholders, and Casella is a stakeholder. But I wouldn't say their voice is given disproportionate weight. We've held them to the same standard we've held everyone else to." John disputed the notion that the company has political influence with Scott that could help the landfill expansion. "There's absolutely no truth to that," he said. "It's nonsense spread by people who don't know Casella." The company has been seeking to expand the landfill since October 2017, when it applied for a state Act 250 permit amendment. Critics say the landfill could leak harmful leachate into nearby Lake Memphremagog and threaten drinking water supplies on both sides of the Canadian border, which the company maintains would not happen. If Casella obtains the permit, it would be a big victory. The company still might face obstacles to construction, though. Opponents continue to try to block the project on multiple fronts. In December, members of the citizen group Don't Undermine Memphremagog's Purity appealed the solid waste management certificate that state regulators issued for the expansion on October 12. "Why should the Northeast Kingdom be the garbage dumping ground for Vermont?" the group asked in a public statement last year. Opponents are also working to block the expansion on the grounds that even after it's been treated by wastewater plants, the leachate from the landfill contains harmful levels of a class of chemicals known as PFOAs, which come from a vast array of consumer and household products and are generating new environmental concerns. ANR disagrees and cited studies in December to back up its contention that there is no health threat. John maintains that the landfill is safe. If the District Commission denies the expansion under Act 250, he said, the company will appeal. Zero Waste: Future or Fantasy? 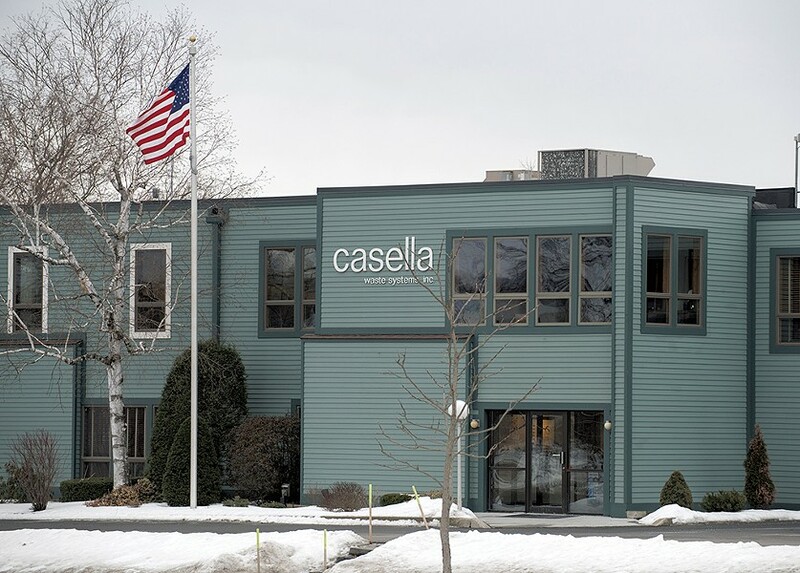 Casella Waste System's headquarters are in a two-story office building just west of downtown Rutland off Route 4. The material recovery facility that Casella operates for the Rutland County Solid Waste District is a short walk away. A three-story pile of unsorted plastic, paper, glass and cans formed a mountain in one side of the warehouse-like facility last week. Pigeons swooped in and out, and a stink hung in the air. Trucks dropped off loads. Employees shoveled material with forklifts. Workers stood over noisy conveyor belts to separate materials by hand, plucking nonrecyclable material from the stream of waste and tossing it down chutes to be landfilled. 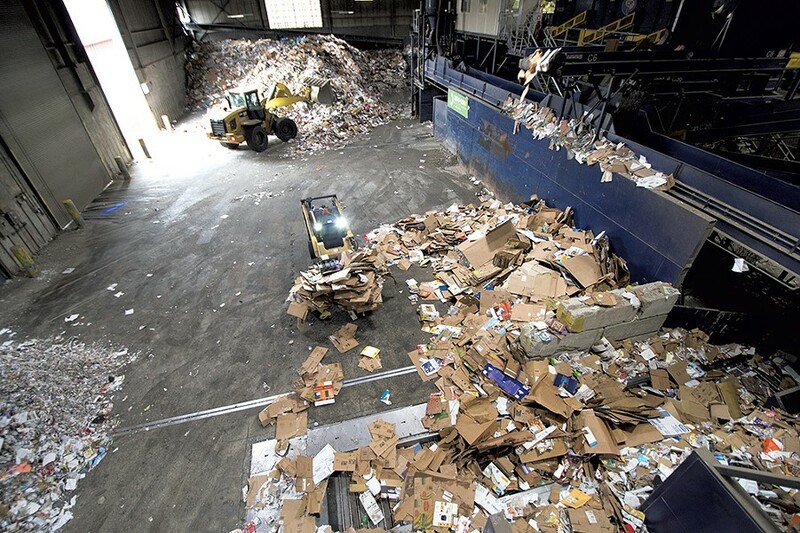 After recyclable material is sorted in the maze-like operation, it is pressed into 1,200-pound bales of paper, cardboard, plastic or aluminum. Trucks cart it away. Some of it used to wind up in China. But that country decided last year to stop accepting most recyclables for processing because of environmental concerns, a move that has disrupted the recycling industry. Casella Waste Systems has subsequently increased fees it charges to accept recycling and now ships some paper to India and Thailand, as well as to domestic markets. The bill that Rodgers introduced Tuesday would also allow the natural resources secretary to suspend rules that ban dumping recyclables in landfills if "an economic market does not exist" — and would open the door to landfilling. Recycling is, of course, one way to reduce the stream of trash heading to landfills, and one that Casella Waste Systems adopted decades ago. But environmental groups contend that Casella's pledges to help reduce the waste stream ring hollow. "Their business model is about taking more and more trash and dumping it into the ground. And then hoping it doesn't become a bigger problem, and hoping that everyone can continue to just ignore the problem," said Shaina Kasper, who is Toxics Action Center's Vermont state director. State programs continue to aim to reduce the amount of waste that Vermonters produce, natural resources Secretary Moore noted. "But ultimately we're not going to be a garbage-free society, at least in my lifetime," she said. "So we will need to continue to look at disposal options." Landfills will be necessary for a long time, John said, and his company will provide the best-engineered sites possible. "There's a perspective that no landfill should be expanded from some environmental groups," John said, "which is not practical." The company's annual report stressed that enlarging its landfills, from New York to Maine, remains a key strategy. Over the past three years, the company has won permission to expand landfills that have, cumulatively, added 33.3 million cubic yards of space — enough to accommodate 462,000 tons of trash per year. Environmentalists may not think landfills are the future. But Casella Waste System's stockholders are, quite literally, banking on it. 8 solid waste landfills: Coventry, Vt.; Angelica, N.Y., Seneca, N.Y., West Old Town, Maine; Schuyler Falls, N.Y.; Chemung, N.Y.; Bethlehem, N.H., Mount Jewett, Penn. 1 construction and demolition landfill Campbell, N.Y.
Should Vermont’s Only Landfill Get Bigger? Do Stores in Burlington Town Center Have to Recycle?